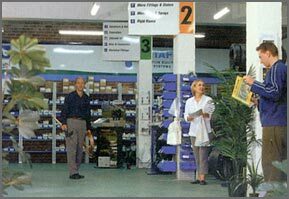 Think Water Melbourne (Planned Irrigation Projects) has been one of Melboune's leading golf, rural and landscape/irrigation industry supplier since 1983. And a proud provider to retail customers since 1989. We can supply a fully designed or specified irrigation system whether it is for a whole vineyard, sports field, or just a broken nozzle in a home garden. Our friendly and experienced staff will provide quick and efficient solutions to your specific irrigation requirement. We offer a free design service for any DIY customers, our staff will assist you with any technical support required.